Thomas Aquinas is to all the world the eminent teacher of philosophy and theology. His writings have trained and inspired generations of young scholars to look deep into the truths they are seeking to understand. Although he originally wrote for beginners, his works have been studied by the most advanced thinkers of our time. And yet he is our brother in so many ways. 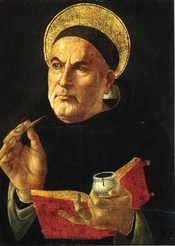 As a young student Thomas spent six years studying under St. Albert the Great who perceived his superior abilities and honed his skills at thinking through difficult topics. In the classroom, Thomas rarely offered answers or argued questions. He was quiet and reserved and even somewhat shy, giving his classmates the impression that he was not very bright. One even offered to tutor him each day after class, an offer which Thomas humbly and gratefully accepted. Because of this reticence to speak out and because of his rather large physical build, some of his classmates dubbed him "the dumb ox". Albert, his teacher and friend, knew better, and he prophesied that some day the bellowing of this ‘ox’ would be heard around the world. When he became sufficiently prepared, St. Albert and the Dominican superiors, sent Thomas to teach. In the classroom leading the discussions, he excelled. His way of explaining abstract concepts made them understandable to the students in his day and to others down through the centuries. His study of the Scriptures made Thomas aware that God passionately loves each one of us and has offered to become our ‘best friend’. Jesus said to his disciples, "I no longer call you servants but friends" (John 15:15). Friendship is something we can all relate to. It flows from frequent encounters to get to know each other in a deeply personal way, and sharing all of our thoughts, fears, hopes, pains and joys. It brings about complete trust in our friend, knowing that we can count on him for support, empathy, and help in whatever we are going through at the moment. 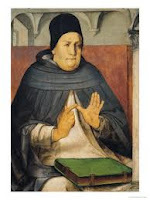 In spite of his busy schedule of teaching, study and writing, Thomas set aside designated times each day for prayer. By being faithful to this commitment he gradually came to know God in a deeply personal way, appreciating the magnificent beauty that God is, in himself and in his relations with his creatures. This knowledge brought about love, and the friendship developed into a life of contemplative prayer. Slowly Thomas learned to bring God into his whole day, sharing with his Best Friend, problems over his work, irritations with other people, struggles of all kinds. He rejoiced with God in seeing others come to know eternal truths and follow in the paths of holiness. And God, in his goodness, revealed more and more to Thomas about Divine Beauty, Compassion, Truth, and Love. Shortly before his death, Thomas had an experience in prayer which he shared with his friend, Brother Reginald. He said that after this encounter with Divine Love, all he had thus far written seemed like so much straw. If we too, faithfully spend time with God each day, we will become more and more, ‘best friends’ with him. As we turn over in our minds our plans, uncertainties, fears, hopes, and joys, we can simply direct that internal conversation to God, and thus we are praying. 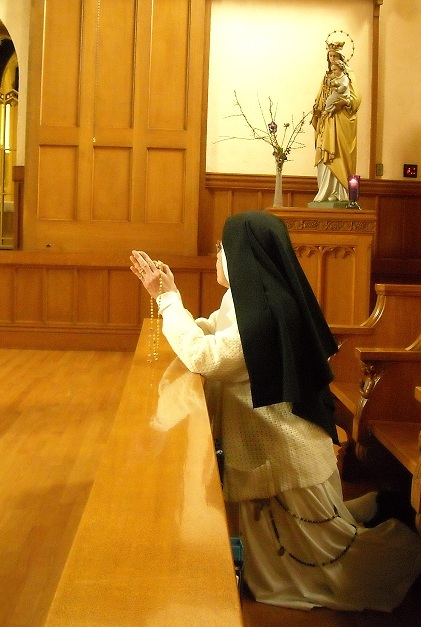 In this way we can, as St. Paul suggests, "Pray always". Christians throughout the world are, by their very name, followers of Jesus Christ. We have many, very many, points of convergence in our belief system and our doctrines. But in spite of this common understanding of the faith, there are differences among us, and often these differences become a stumbling block to real spiritual growth. We sometimes concentrate on the differences and let them engender competition, criticism, arguing, and a lack of charity that denies in our actions, that the faith which we profess is our guide in following Christ. In reality we are like the spokes of a wheel with Christ as the center. The closer we come to Christ, the closer we are to each other. And the closer we come to each other, the closer we are to Christ. At the beginning of the twentieth century, an Episcopalian priest, Paul Wattson, recognizing how detrimental this attitude is for the salvation of souls, began a movement to bring together in respect and charity, the many branches of Christianity. The main tool in this effort toward unity is prayer. Gradually many churches, including the Catholic Church, joined the movement to pray together for Christian unity and they agreed on a week or octave for this type of cooperative prayer. The octave begins on Jan. 18 and ends on the feast of St. Paul, Jan. 25. During this time we join our hearts and voices, raising to God a manifold plea that each of us will cooperate in changing our own hearts and encouraging others to look with love on those to whom they are bound by a common Baptism. 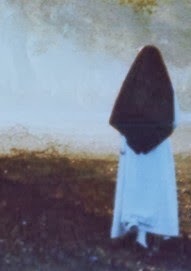 Eventually Father Paul and his community, Franciscan Friars of the Atonement, along with the women’s group,Franciscan Sisters of the Atonement, entered the Catholic Church - the first fruits of their prayer for unity. Will you please join us in prayer? May the Lord of all unity answer our request. O God, in your mercy you set aright those who have gone astray and you save those whom you have gathered together. We beseech you to pour down upon all Christian people the grace of union with you, so that putting aside disunion and attaching themselves to the true shepherd of your Church, they may be able to serve you humbly and lovingly. Through Christ Our Lord. Amen. In today's gospel, St. Matthew was sitting at his desk, counting his money, attending to his business, not thinking about God or what might be this new teaching of the man from Nazareth. The business he was in was not one in which a good upright Jew would be involved. It would be called a 'shady' business today. But Jesus did not wait for him to be converted and shape up. The call came to him in the midst of the messiness of his normal way of life. Even today the God of surprises calls young people to follow him even when they are in the midst of ordinary life. Often it does not happen in church or at times of serious reflection but in the usual setting of routine activities. In his homily today, our Chaplain, Fr. Eugene mentioned that ordinarily God does not call a person without first preparing him or her at least in a remote way by gifts of nature and grace. Matthew probably had heard of Jesus and may even have listened to him teach. He must have had some strength of character as a tax collector to endure patiently the derision and disdain of the "good" Jews. This same quality would prepare him for the contempt and scorn sometimes heaped on the apostolic band when they preached the message of Jesus in the hearing of the Pharisees. In this generation those called by God may not realize at first that they have already been gifted by the God of surprises, with natural and supernatural qualities which fit them for religious life. They might look at their natural talents, abilities and preferences to indicate a path to the consecrated life. Let each one of us reflect on our own life story and notice where God has been leading us. One of the greatest feasts in the liturgical year, celebrated by both East and West with great ceremony, is the Epiphany. On this day we commemorate the arrival of the three Kings at the crib of the newborn Savior. This is what most people recall when they think of Epiphany, however in reality we are actually celebrating three mysteries: the adoration of Christ by the Magi, the Baptism of Jesus by John the Baptist in the Jordan River, and the changing of water into wine by Jesus at the wedding feast of Cana. All three of these mysteries manifest both the divinity and the humanity of Christ, and all three are mentioned in the Magnificat antiphon at Vespers of the Feast of the Epiphany. Considering the poverty of the Holy Family, St. Joseph must have been very grateful to these Wise Men for providing gifts which, besides their symbolic value, sustained the Holy Family during the difficult days to come. These gifts may even have made possible the purchase of the doves required for the sacrifice at the Presentation of Jesus and the Purification of Mary. This gratitude of St. Joseph is something which resonates in our hearts as we consider the generous gifts which our beloved benefactors have bestowed on us this Christmas Season. We pray that the Infant Jesus will, in turn, grant each of them many graces and blessings. Our New Year tradition features the drawing of patron saints for the coming year. 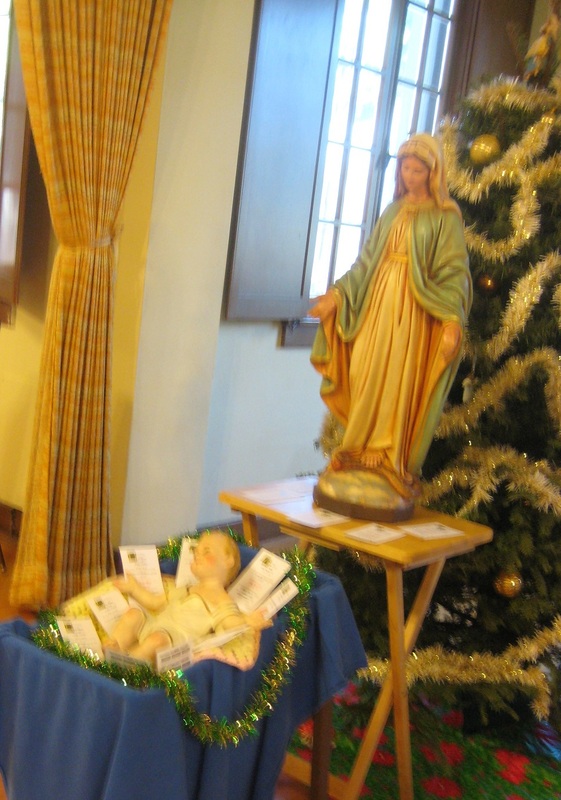 Holy cards with the names of Dominican saints are placed in the crib in our recreation room. After singing a hymn, each of us approaches the crib and takes a card which has a saint's name on the back. The one we draw is the one we will look to in the coming year for inspiration, encouragement and support. Besides an invidual patron saint, we have one designated for our monastery, and one for the novitiate. 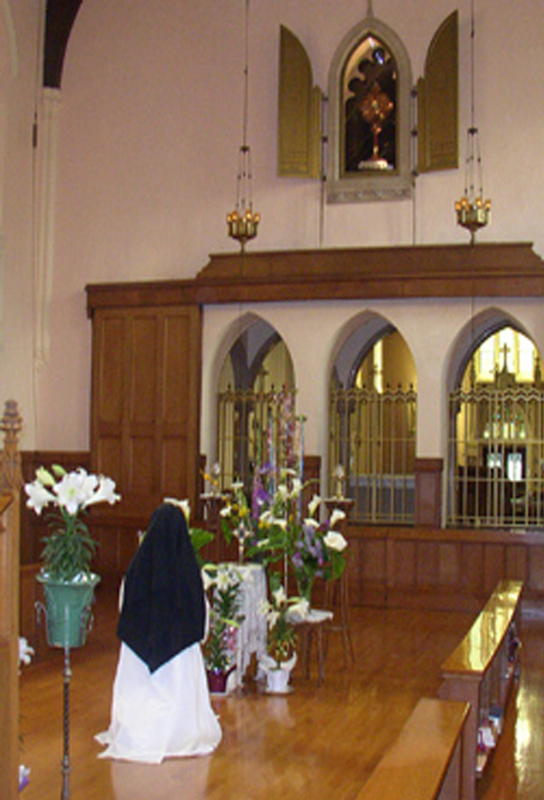 For 2012, St Rose of Lima will be praying for our community and the Holy Family will watch over the Novitiate. All you holy angels and saints, pray for us!